As we discussed in our previous article about Flipkart as one of the most famous e-commerce giant in the country and how to create a Flipkart account. Now, in our next article, we are discussing how to change your password in Flipkart. Privacy is one of the most important factors for any e-commerce website. Keeping this is mind, it is always suggested to change your password regularly to avoid unauthorized access. 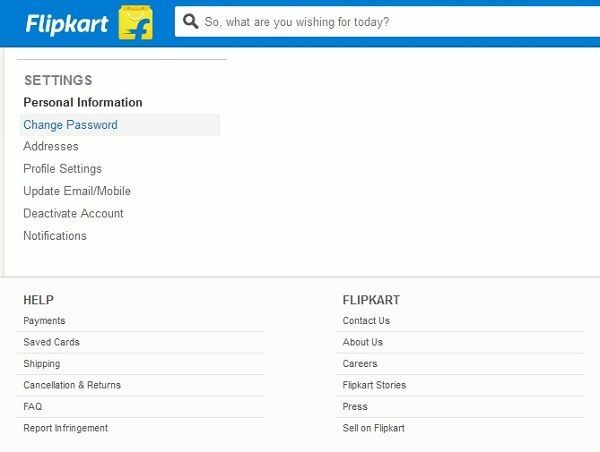 Just have a glance at this article to know how to change your password in Flipkart. 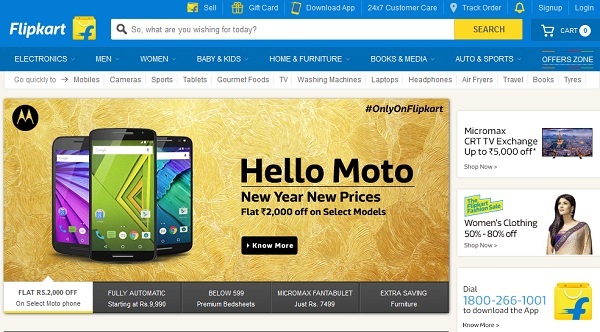 Step 1: First go to the Flipkart official website “www.flipkart.com” and click on the login button which is at the top right corner of your screen. 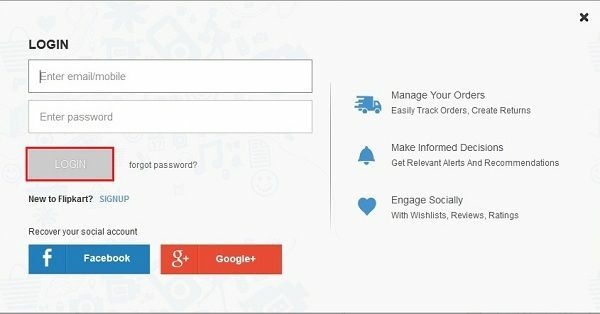 Step 2: Now, provide your email id or password followed by Flipkart login password and then click on the “Login” button. Step 3: Now, go to “My Account” tab which is situated at the top right corner of your screen and then select “Account” option, as shown in the image below. Step 4: Here, you may see Flipkart “Settings”. Just choose the second option, i.e., “Change Password” option to change your Flipkart password. 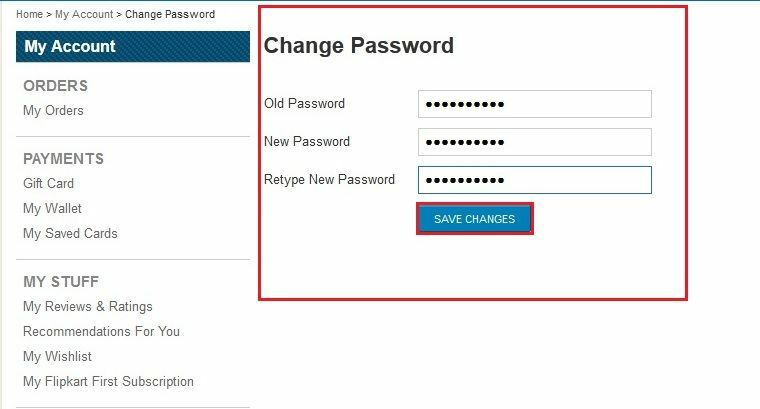 Step 5: Now, in the change password window, you have to provide your “Old password” followed by “New Password” and then Retype New Password. Finally, click on “Save Changes” button. Step 6: After that, you may receive a message saying “Your password has been changed successfully”.